The wedding day is definitely one of the most important events in the life of a marrying couple. This marks the day when two people will live together as one. There is a long lifetime to look forward to. Thus, it will definitely be a good way to start this togetherness in the best way possible. It is a must to come up with the most perfect wedding. Weddings can vary as much as the personalities of every person differ from one another. Some can go every elegant. Some can be very expensive. Some are simple and intimate. Some are just beyond words to describe the magnificence. This characteristic will all depend on the theme that the marrying couple will choose. As such, picking the best theme for the wedding will be very crucial in the whole success of the special celebration. 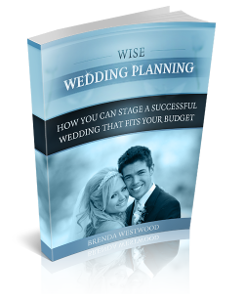 The couple must keep in mind the desires of their heart and the plans they have when they pick out the perfect wedding theme. For brides and grooms who want to have a cozy and fun wedding celebration, then the garden wedding is the best idea. Setting the wedding celebration in the garden can be one of the most romantic events there will be. The location can provide a sensual atmosphere that will make the event simply elegant. The garden serves as a good environment that makes one feel close to nature without having to leave to some far off location away from civilization. The plants, shrubs and flowers can provide enough feeling of serenity and simplicity. This garden theme will also allow the guests of the couple to enjoy the wedding day because it can exude a cozy and intimate charm that will make movement and conversation easy and light. Knowing that the garden wedding theme is a perfect way to celebrate love and life with family and friends, then it is only a must to put all efforts to put this plan into a reality. The event should be more than just another wedding. It must impress people of the celebration of love in this wedding day. Give it the effect that you will want people to remember you by. 1. Find a location that will give the basic foundations for your garden. It may be some garden where you will only be adding some details. You can also find venues that are constructed for this type of occasion. Look for places that have stone walls or low-hanging trees. These are the typical features of a garden that will be perfect for a wedding. 2. Accentuate the place by putting details that will awe your audience. Some of the features that will give the dramatic effect you want are rock gardens, water fountains or even a small pond with colorful fish. 3. Delicate fabrics are perfect for the tables in the garden. They can create a fine texture that will complement the elegance of the venue. You can add some vintage accents to give it more character. 4. The color that you will pick for your motif can be very well combined with some cream or white that will surround the garden. 5. If you are celebrating the wedding at night, it will be great to put some lights to embellish the taller trees in the garden. 6. The bride can also freely choose the wedding gown to wear. There are, of course, certain choices that will best complement the garden setting and give out the best impression to your guests. Old-world styles are perfect for garden weddings. You can use details like chiffon, long sleeves, empire waist gowns or Victorian lace to make your wedding gown the best attraction for the event. 7. Make sure also that you give enough attention to the ceremony of the wedding. Better yet, do the ceremony in a trellis and this can be the focal point of the event. A trellis can be best embellished with Spanish moss and ivy. This can also be added with some fresh flowers that will complement the motif and the gown of the bride. You can easily enjoy the wedding of your dreams through the garden theme. Just put your heart and soul in every detail and surely, this will be very rewarding.